Do spider bites and mosquito bites look quite similar? How do you tell them apart? There is quite a contrast between these two creatures, especially in the ways that they bite. Spiders tend to leave a more lasting effect on the skin following their bite. Mosquitoes, on the other hand, will usually just leave you itching for a few hours before beginning to subside. Let's get into some specifics on the differences between spider and mosquito bites. A mosquito bite generally appears as a small, white puffy bump. In the center of the swelling will be a tiny, glowing red area, which is usually the part that itches. Mosquito bites can look different from person to person. The above is a general description of the most common reaction. The appearance of the bite depends on a few factors. These may include the sensitivity of the individual’s skin, and also the species of mosquito. Sometimes, itchy bumps on the skin aren't from a mosquito, but from another type of insect, so be cautious when identifying the culprit. The mosquito's saliva consists of a chemical mixture. The proteins it contains have the ability to trigger a human’s immune response. In order for the mosquito to feed, it must stop the blood from clotting when it penetrates the skin. When the mosquito bites, It inserts the saliva, which quickly enters the bloodstream and travels through the system. As the foreign body makes its presence known, this causes the body to react. As the chemicals in the saliva set off an immune response, the area will begin to swell as the body produces histamines. This, in turn, will precipitate localized itching. 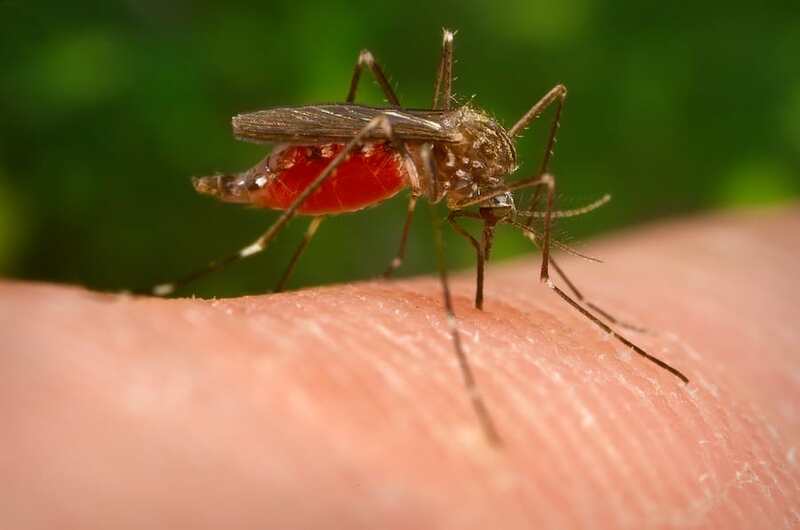 Depending on your skin, you may experience the signature mosquito bite described above, or you may notice a puncture mark at the center of the swelling. Those who are prone to allergic reactions can expect a larger, more irritated area. The swelling is likely to be excessive or, in some cases, smaller bumps may appear around the same section. Unfortunately, mosquito bites can cause adverse reactions. This generally applies to people with a compromised immune system. In such individuals, the bite can cause hives and more massive swellings. Reactions like this will usually require immediate treatment to avoid progression. A mosquito bite can also become infected, typically from scratching. This tends to be common in children especially, as they are more likely to scratch the bite. Infections occur when the individual scratches the bite excessively and thereby punctures the skin, allowing bacteria to penetrate. An infected mosquito bite will look piercingly red, and be sore and irritated. Blisters can form which contain fluid or pus, or tiny pustules can appear across the area. Whether the bite looks infected, is affected by allergies or just feels itchy, it is essential to keep it clean. Use water and mild soap and gently sanitize the area. When the area is clean, the next step is to stop the irritation. There are numerous ways to reduce the itch. You can apply a soothing topical cream or lotion, such as calamine, or one which contains hydrocortisone. There are also a few natural solutions you can apply. These include: cold, damp tea bags or even just ice, wrapped in a clean cloth. Just make sure you are not allergic to whatever you put on your skin. Of more than three thousand spider species in the U.S., only a few types actually bite people. Of these, even less of them are capable of puncturing human skin. In other words, most of the spiders you are likely to encounter at home do not pose a significant threat. In fact, there are only two species of spider within the U.S. that are able to make you sick. These are the black widow and brown recluse spider. A spider bite can resemble something similar to a general skin infection: doctors often confuse the two. You might not even feel anything at the time you are bitten. There may be no symptoms or any evidence until a few hours later. The specific appearance and symptoms depend on which spider bit you. This spider's bite will cause a single or double puncture wound in the center. Some people may experience an extended lesion which resembles a large bruise and is often painful and swollen. Others can develop an open sore that might take some time to recover. However, in many cases, a bite may go completely unnoticed. If you have been bitten by a black widow spider, you can expect to experience sweating, chills, headaches, and dizziness. The venom from this spider can cause a systemic reaction in the body. Among all the spiders present in the U.S., experts deem the black widow the most venomous. This effect can cause muscle cramps in the limbs and stomach. Your pulse may increase rapidly, and you'll likely feel general exhaustion. This spider has two large teeth which it uses to inject its poison. Although only visible for a few hours following the initial bite, doctors will usually look for one or two fang marks during diagnosis. If you are bitten by a brown recluse spider, you are likely to see a small irritated area. This spider, fortunately, won't cause as much damage as the black widow. Experts often claim that it is easier to rule out a brown recluse spider bite than diagnosing one. Similar to the mosquito bite, the first thing you should do is clean the area with mild soap and water. Gently wipe the site and dab dry with a towel. To avoid any unnecessary swelling and pain, it's good to use cold compression. Next, you should elevate the area if the bite is on the arm or leg. You can also take some over-the-counter medication to ease the pain. If you suspect the brown recluse spider to be the culprit, you should apply an antibiotic cream. Be aware that if the black widow spider bit you, you might also need antivenom treatment. These can cause allergic reactions, so let your doctor know if you have any hypersensitivities. In any case, if you are not sure what type of spider has bitten you but you’re feeling unwell, seek immediate medical advice. Almost all of us have experienced the puffy, itching bump from a mosquito bite. A spider bite, on the other hand, is quite rare. In fact, unless there's solid proof of the spider, doctors generally don’t diagnose a spider bite as the cause of your symptoms. Now you have more information about the differences between spider bites and mosquito bites. Knowing which one has bitten you will be important should you have any adverse reactions.